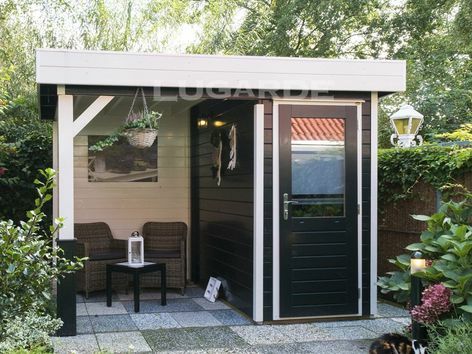 The Lugarde Prima Toby is a flat roof summerhouse with EPDM rubber roof. It has a small storage cabin and a canopy to the side with rear wall. Perfect for small gardens. Size overall 3m x 2.4m in 28 mm log thickness. The cabin measures 1.2m x 2.4m. 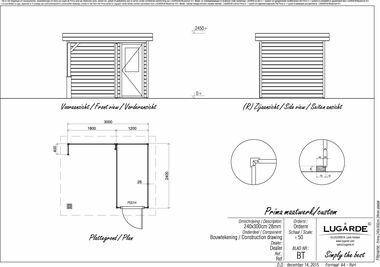 The standard package includes a post with decorative base and 1 x PE61H single door.